Hill & Moin LLP » Blog Archive » Dedicated Home Attendant with Knee Injury Receives a $500,000 Settlement After Falling on Sidewalk. Home » Dedicated Home Attendant with Knee Injury Receives a $500,000 Settlement After Falling on Sidewalk. A.S. was referred to the firm of Hill & Moin by another attorney. Additionally, one of her friends was a prior client of Hill & Moin. A.S. stated that she, “liked [her experience at Hill & Moin] a lot.” She was particularly thankful that she was able to speak in her native language of Russian to the staff. 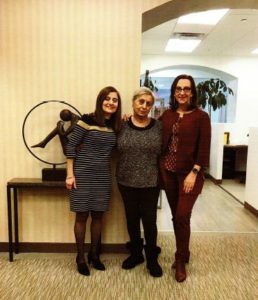 The dedicated attorneys at Hill & Moin were able to procure a $500,000 settlement for A.S. Now that the case has been settled, A.S. is planning on going back to her home country of Armenia. This entry was posted on Tuesday, March 19th, 2019 at 5:39 pm and is filed under Our Clients Speak. You can follow any responses to this entry through the RSS 2.0 feed. Both comments and pings are currently closed.